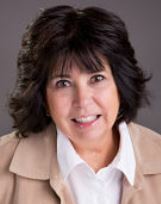 As a professional realtor, Sue's main focus is client satisfaction. Whether it's finding a home or helping you get the most out of your home, she is here to guide you. Ongoing communication, personal contact, market updates, and staying on top of the sales process provides the best possible experience for both buyer and seller. Sue strives to maintain a long-term relationship with her clients, to always exceed expectations, and to make every transaction as smooth and seamless as possible. Are you looking for a REALTOR® who pays attention to your individual needs and goals? Give Sue a call! What's new at the lakes? Here are some home trends in the Irish Hills area. Contact me today. I am available to help you at any time. What a great agent! Sue sure went above and beyond, made all the paperwork so simple and easy, kept us informed of everything from the day we listed to the day we sold. We recommend her to all our friends and family!